Missouri History Museum employees dig through ash and scrap metal for artifacts. The boutique, at 9844 West Florissant in Dellwood, was burned to the ground in November, after a grand jury decided not to indict Officer Darren Wilson. Parts of the roof have caved in, the rest is gone. Some of the building’s pink walls are still standing, but the interior is mostly piles of ash and sheets of bent and burned metal. On Thursday morning, volunteers from the Missouri History Museum went to the site, hoping to find historical treasure in the ash. The museum has launched the Ferguson Collecting Initiative. 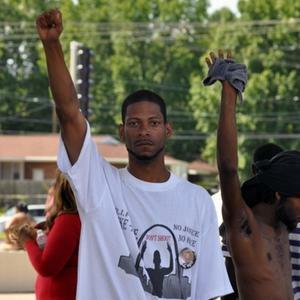 It is collecting artifacts linked to events surrounding Michael Brown’s death. 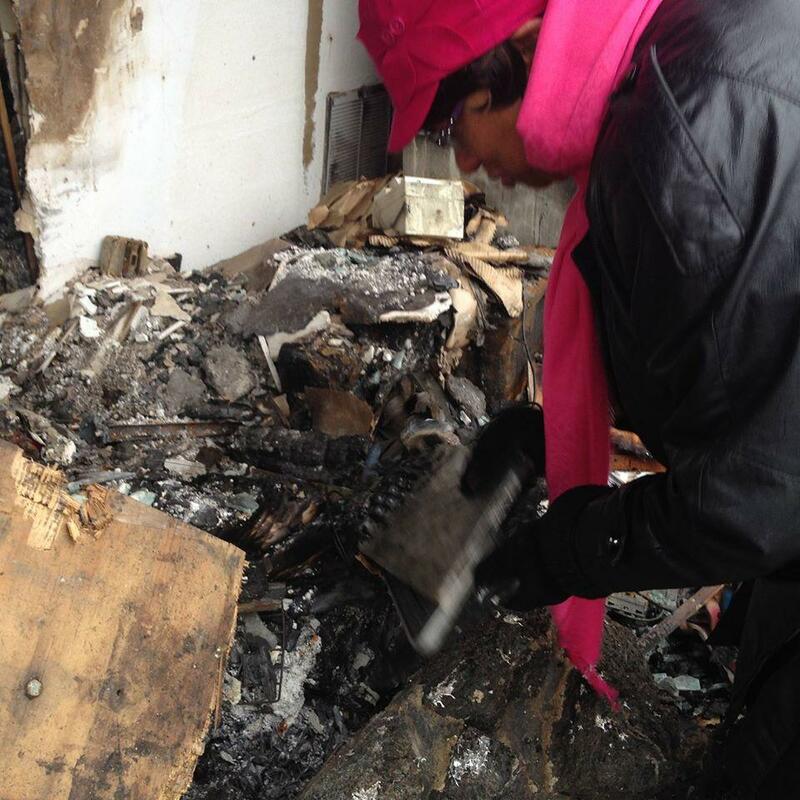 Digging through the debris of the Boutique, volunteers discovered shoes, necklaces, sewing machines, computer parts and clothing racks. Edna Smith, assistant librarian at the Missouri History Museum, says she would shop for suits at Fashions R Boutique. When she heard about the initiative she called Morris to ask whether the Museum could look through the rubble. Edna Smith picks up the remains of a computer keyboard. Smith says although the fire and the events in Ferguson are recent, it’s the museums job to start building a collection now. 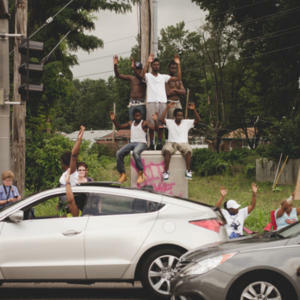 “We kind of look at everything as a historical moment,” she said. “It’s a moment in time that we will not get back. That’s us. This is what we do. We preserve history and that is what we are doing here today." Objects selected by the museum will become part of a research collection. There is currently no exhibit planned, but the material will be accessible through the museum’s research center and library. 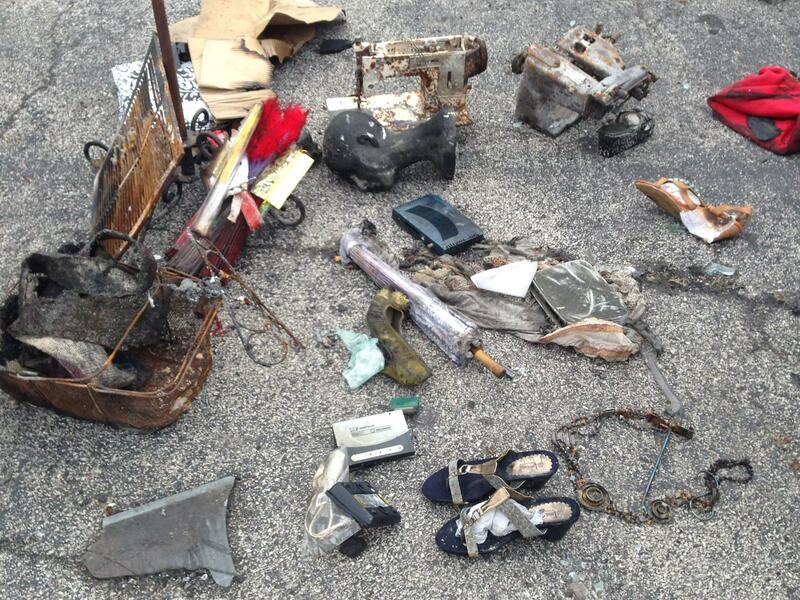 A collection of objects found in the debris. Gordon says the museum is encouraging people with varying perspectives to donate personal artifacts to the Ferguson collection, as it’s important to provide many different viewpoints for an accurate historical understanding. The museum is looking for both digital and physical items to archive. Store owner Morris says she welcomes the history museum's efforts. 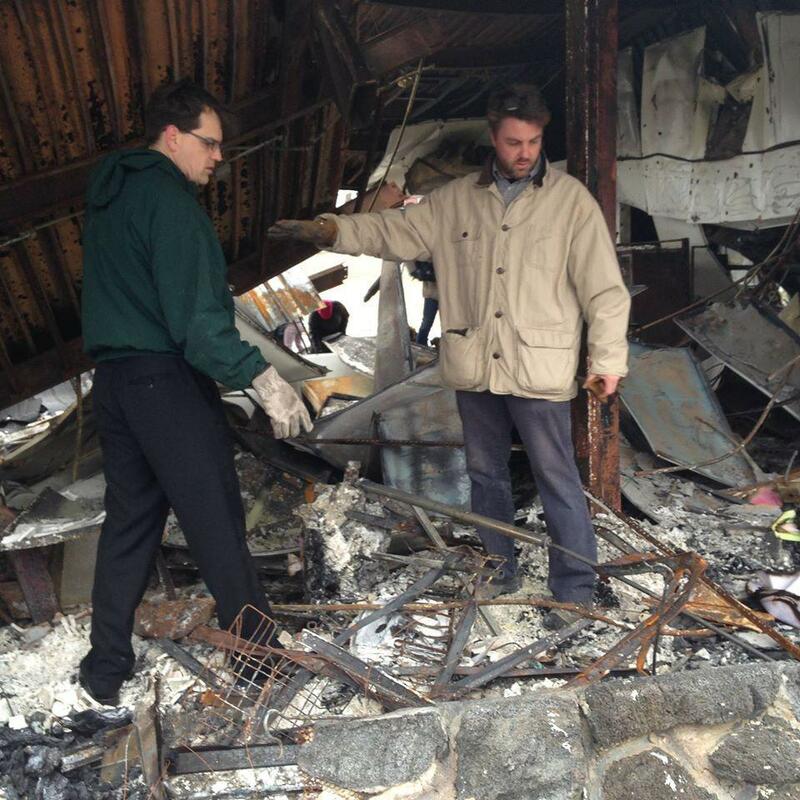 As for the store, Morris plans to rebuild. “It is going to be a bigger and better building, better than it was, larger than it was, stronger than it was and more customers,” she says. The store will be built in the same location. Morris says, despite the fire, she wouldn't think of moving, the location has been a blessed spot for her. Martin Luther King once said that "it is appalling that the most segregated hour of Christian America is 11 o'clock on Sunday morning." Rev. Dietra Wise Baker says it still is, which is why Baker and more than 100 people from churches across St. Louis gathered to talk about race on Sunday. The event was the first in a series of Sacred Conversation About Race.